best performing modchip on the market right now. Does not require GCOS to play GameCube imports. UPGRADEABLE by DVD/ ON SALES NOW! 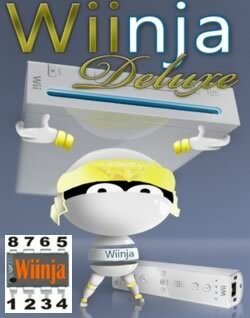 The Wiinja was the first Nintendo Wii Drivechip to be released to the public. Drivechips work by injecting code into the DVD-ROM telling it that the homebrew/backup disc is a legitmate program which can be run on the Nintendo Wii. Sadly, Drivechips are limited to certain functions and do not allow you to run unsigned Nintendo Wii code thus disabling homebrew developers from utilizing the power of the Nintendo Wii's hardware. Luckily though you can still boot your GameCube homebrew. One must remember that it was the first chip to arrive so it only features basic functionality. The Wiinja itself simply comes with the below diagram on a piece of paper with no further instructions. What you're basically going to have to do is to take apart your Nintendo Wii to access the DVD-ROM's serial port which you will solder the chip onto. Installing the Wiinja is a pretty easy process. First you will need to take apart your Nintendo Wii then solder it on. I would first start out by stripping the wire with your wire cutters to expose a little portion of them. Next dip the ends of all five wires in flux then "tin" them by covering them with a little bit of solder. Next locate the soldering points on the DVD-ROM drive and cover each one with flux. Now simply touch your tinned wire onto the point with your iron and it should bond instantly. Once this is done I would also "tin" the points on the Wiinja then slick it in place using your double sided foam tape. 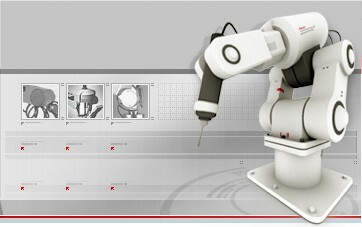 Next solder the wires from the motherboard onto the chip and you're good to go! Here is what it should look like when you're all done. 5. It's recommended you burn the discs at 4x writing speed.